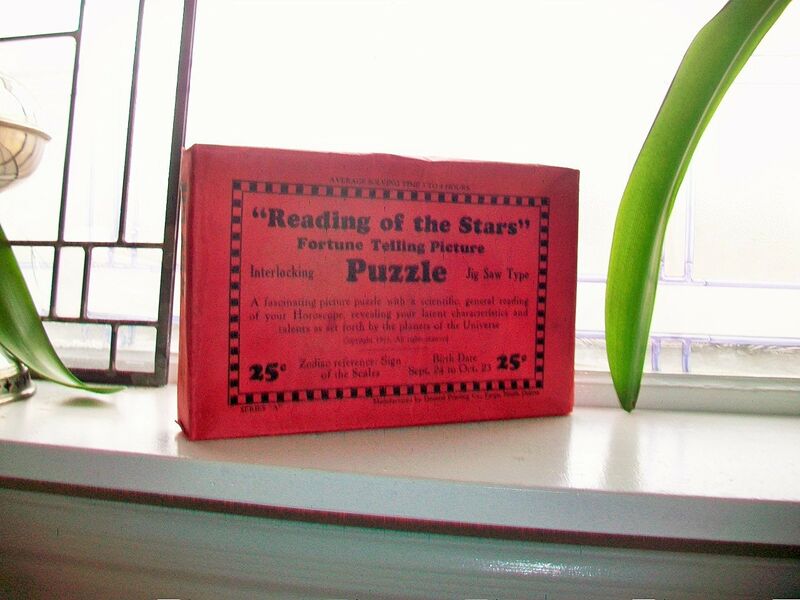 Vintage unused fortune telling picture puzzle, in very good condition. 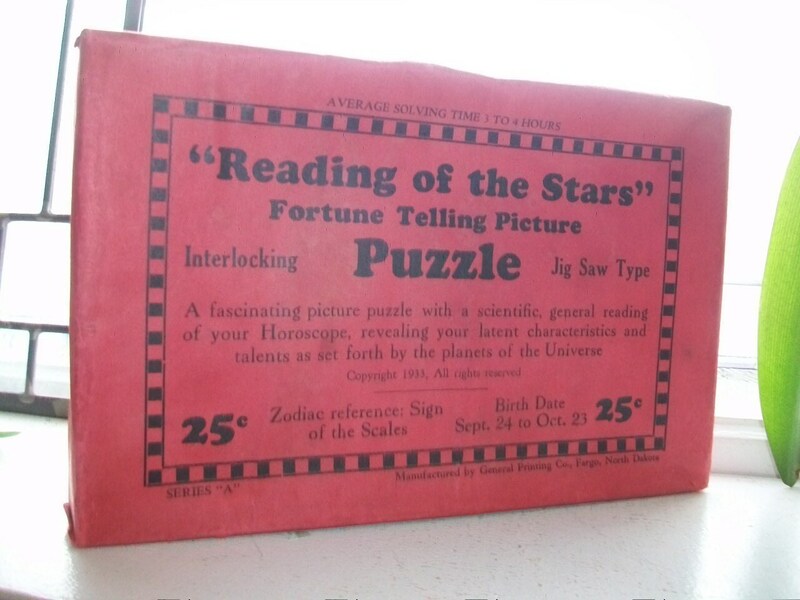 The box reads "Reading of the Stars Fortune Telling Picture Puzzle interlocking jig saw type. A fascinating picture puzzle with a scientific, general reading of your Horoscope, revealing your latent characteristics and talents as set forth by the planets of the Universe. Zodiac reference: Sign of the Fishes (Pisces). 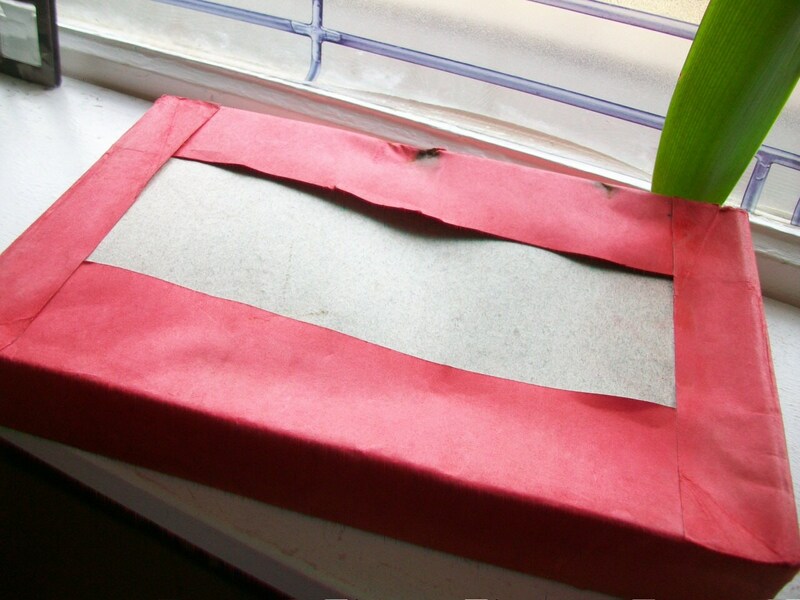 Manufactured by General Printing Co., Fargo, North Dakota. Copyright 1933. Average solving time 3 to 4 hours." The box measures 9" x 6" x 1 1/2". 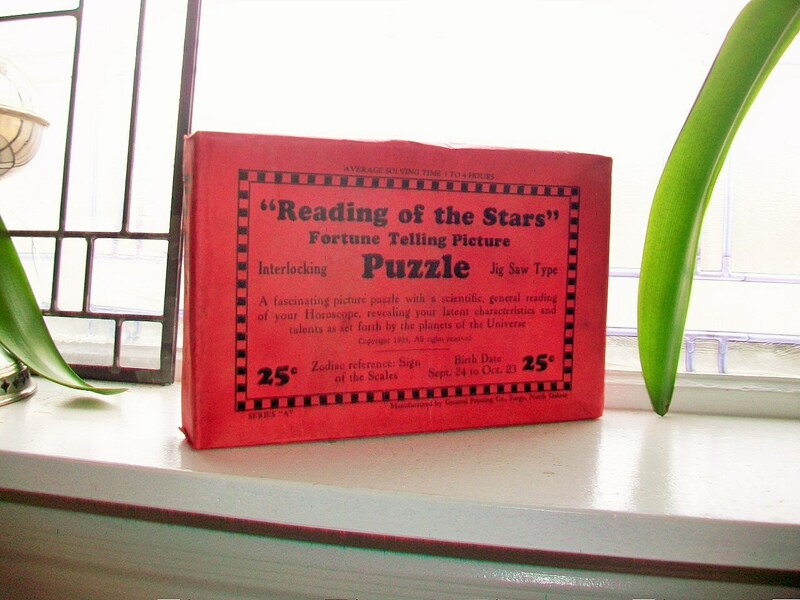 I realize the photos are of the Libra puzzle. 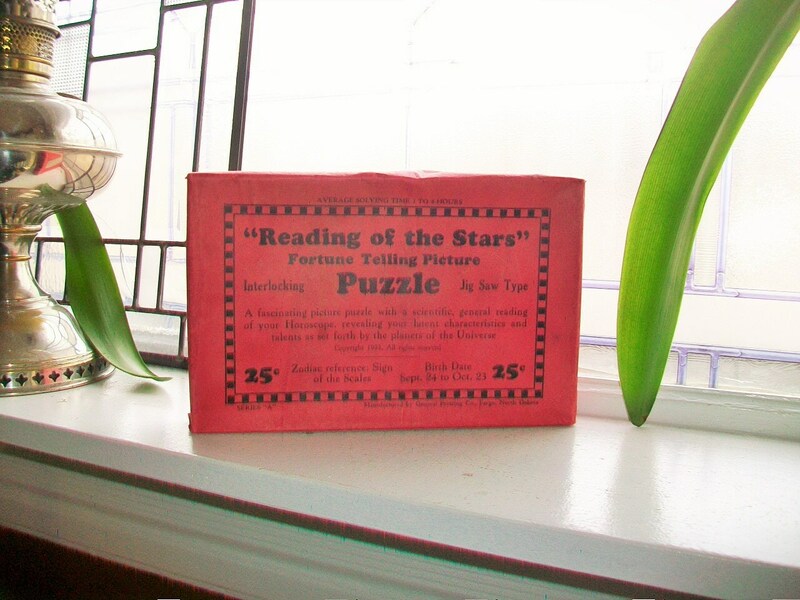 The only difference is that the Pisces puzzle box is missing the upper left corner of the red paper, which doesn't affect any of the lettering, and the box is still unopened. Enjoy!